In this Faber and Faber Piano Master Class Video “The Future of Teaching Music”, featuring Sherry St. Germain, you will see innovative ideas on teaching and motivating your students to be excited about how to learn faster and have more fun learning with the Faber Studio Collection! Watch Faber and Faber Piano Master Class teacher Sherry St. Germain share her exciting new innovative teaching techniques! Learn how to connect music theory and piano techniques to build Master Musicianship skills. Teaching music is one thing… watching live music performances… well that’s another thing! And that is the thing we all love about the music industry – learning, sharing and appreciating all styles of music including those of Master Performer Elton John. 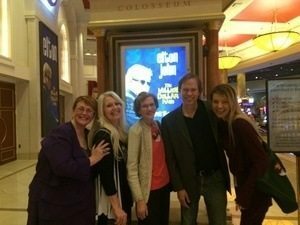 Ultimate Music Theory’s Shelagh McKibbon-U’Ren and Glory St. Germain, along with Carole Flatau, Faber and Faber Piano author Randall Faber and Master Class presenter Sherry St. Germain enjoying the Elton John Concert at the Colosseum in Las Vegas! What inspires musicians? Other musicians! 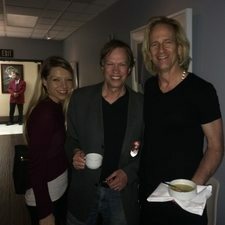 Sherry's friend Kim Bullard (Elton John's Keyboardist) invited us back stage at the Elton John Concert - Sherry, Randy and Kim - master musicians connecting on another "master" level! Faber and Faber Piano Authors - "The Fabers (Nancy and Randall) advocate piano study not only for personal expression and performance success, but also as a vehicle for the student's creative and cognitive development. Their philosophy is reflected in their writing, their public appearances, and in their own teaching." Enjoy learning with the FABER and FABER Piano Master Class. Want to learn more about how you can grow in your professional development? 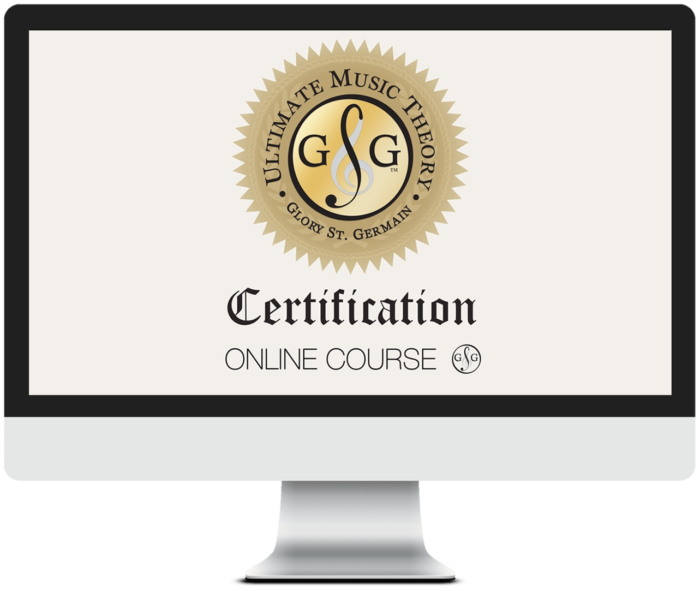 Check out the Ultimate Music Theory Online Courses - The Way to Score Success! P.S. What has inspired you the MOST as a musician? Share your learning experiences and teaching ideas below.